Broken glass in shop front windows can present a danger to shop owners and the general public if not repaired. Many shopfront windows consist of ordinary annealed glass, which breaks into large dangerous shards that can cause serious injuries. 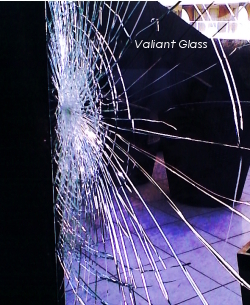 Most breakages of shop windows are caused by vandalism where an object has been thrown through the glass panel. This type of breakage creates large dagger-like pieces, which can easily fall and injure anyone nearby. As glass experts Valiant Glass provide fast glass replacement services for shop front glass throughout the Sydney metropolitan area. With almost 40 years experience in shop window glass repair, our team of glaziers provides a reliable and efficient service. We have been servicing some of our clients for over 30 years and remain as one of Sydney’s most respected glass merchants, with a proud history as a highly reputable company. Longstanding relationships with Strata Management, Insurance and Property Maintenance companies reinforce our position as one of Sydney premier glass and glazing companies.